CRITICS of the O’Neill Government are having a field day in the social media as they crawl over each other to say real nasty things about the Prime Minister and his coalition partners. They have elevated Fraud Squad director Mathew Damaru to near immortal status for his unprecedented action to arrest and charge Justice Sir Bernard Sakora and Attorney General Ano Pala. While Damaru may be seen to be doing his job, his tactics are questionable and he will need to produce the evidence, if any, in court. What bothers me and possibly many others is that this concerted campaign by a minority to remove Peter O’Neill is tainted with hatred and jealousy for a Prime Minister who has actually walked the talk on his policy initiatives and programmes. Many of these critics are benefitting from initiatives such as Free Education and Free Healthcare but they choose to bite the hand that feeds them. 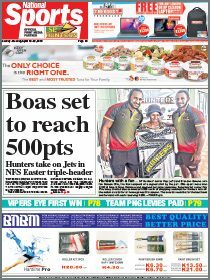 So who do they prefer to lead our nation – Don Polye or Sam Basil? 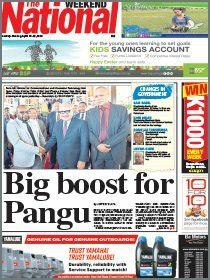 I believe PNG is better off with O’Neill at this point in time, so give the man a break and allow him to complete his term of office. All you critics will have the opportunity to elect your “right leaders” next year.